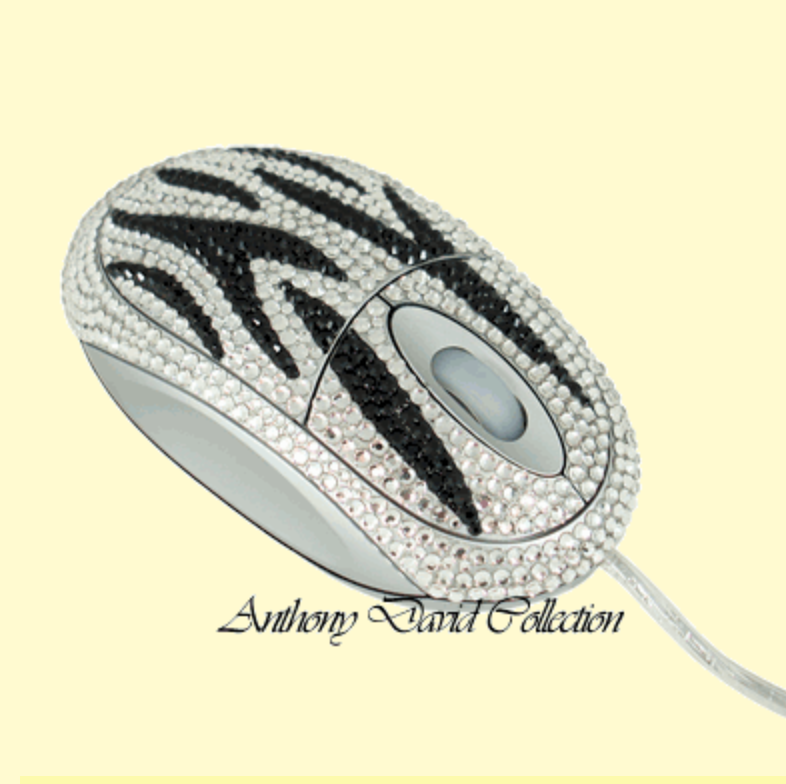 From the extensive line of Anthony David crystal desk accessories, we are excited to offer this beautiful Swarovski crystal encrusted computer mouse. Give your computer the luxurious look of crystal! Check out the complete Anthony David Collection of executive gifts to show that special lady just how proud you are of her career. Select from complete crystal desk sets to crystallized business card cases, desk clocks, photo frames, bookmarks, and even crystal writing pens. Covered in clear & black (crystal & jet) Swarovski crystals. Dual connector (USB and serial port). You are certain to find the perfect crystal computer mouse as the Anthony David Collection has them in many colors and designs.